The following piece landed in the Chum mailbox this weekend courtesy of A.F. Earnest Hemingway, who asked us to share his advice. How can you say no to Hemingway? You’ve probably heard that you’re supposed to set the hook when a trout eats your dry fly. While that’s certainly true, it’s also vital that you give each fish time to fully engage with the hook. I like to count backwards after I’ve watched a nice brown trout sip my Elk Hair Caddis. “Five, four, three, two, one … set!” If you tend to count fast – and really, who doesn’t? – you might want to pause for just a moment after you say each number aloud. Will your hook-up percentage go through the roof? Just try it and see! 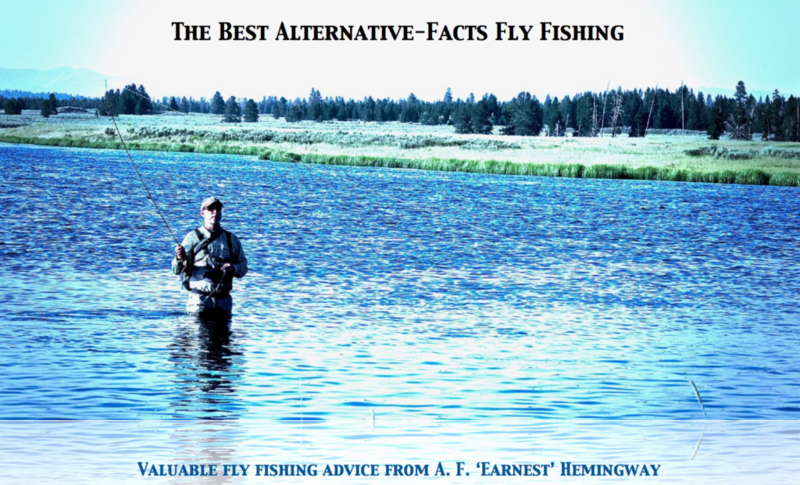 We’ve all read a million stories about fly rods. Depending on who’s talking, you may hear about the advantages of graphite rods, or boron rods, or fiberglass rods, or even cane rods. 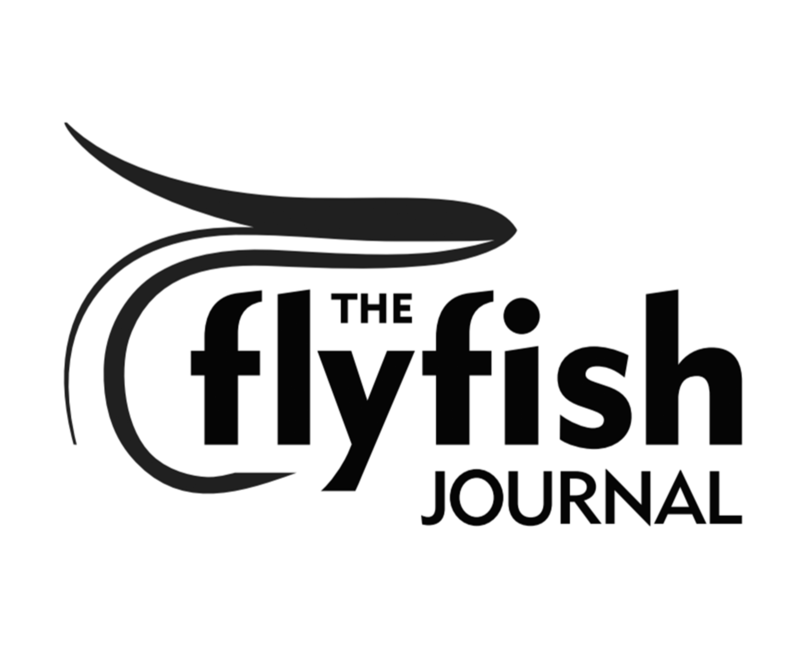 What you won’t hear are stories about the new cutting-edge fly rods made from steel, iron, and tungsten. Here’s what you need to know. Stiffer rods are better, and nothing is stiffer than metal. It’s also lightweight, durable, and inexpensive. Sadly, there’s a nasty rumor going around that metal rods sink. Don’t believe it. They float. Metal rods can even protect you from lightning if you’re lucky enough to fish during a thunderstorm. Most people think nymphs catch fish. No, they don’t. Not yesterday, not today, not tomorrow, not ever. It’s a little known fact, but all fish, including (but not limited to) trout, bass, steelhead, salmon, bonefish, permit, tarpon, carp, and suckers, feed exclusively on the surface. When someone tells you they caught a fish on a nymph, they’re lying to you. They are L-I-A-R-S, folks. So don’t fish nymphs, ever. Nymphs are for losers. Sad. Everyone fishes in breathable waders these days. But just how breathable are your waders? If they’re anything like mine, you’re probably a little disappointed in their performance – especially when you’re out on those really hot, muggy days. Here’s a neat trick that can make your waders far more breathable. Swing by Staples or Office Max and pick up an old-fashioned paper punch, then punch little round holes all over your waders. Trust me, they’ll be far more breathable than they used to be. And as an added bonus, you’ll find that in the unlikely event your super-breathable waders start to leak, they’re now self-draining. Make your waders great again! There’s an old wive’s tale going around that you need to be stealthy when you’re wading or floating; especially on heavily-fished rivers like the Beaverkill or the Henry’s Fork. Honestly, nothing could be further from the truth. Fish like noise and splashing around. It makes them feel like they’re living with happy beavers, and it puts them completely at ease. So bring your kids to the river, bring your dogs, throw some rocks, be a happy little beaver. The results will speak for themselves. You may have heard that we have an obligation to leave our landscapes and waters in good shape for our kids & grandkids. Nope. That’s actually a hoax invented by the Chinese to weaken our economy. Gordon Gekko had it right. Greed is good. Grab hold of life, wring everything wonderful and decent and pure from it, and then pass whatever’s left to future generations. They’ll definitely enjoy the challenge of trying to bring our fisheries back to life.